In transition, moving your body laterally is a key component to a good swing. For some, moving laterally will feel like an active push, while for others transition will feel like a passive fall. If you have more of an upper body swing, it is likely that you will feel more of the passive fall. 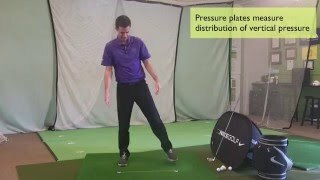 If you have more of an lower body dominant swing, it is likely that you will feel more of an active push. Bump Then Turn The Hips Discussion Understand the timing and movements of the pelvis in transition. 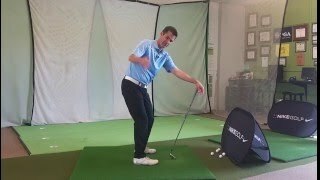 Discussing The Look Of Lag Lag is a sign of a good golf swing, but "trying" to create lag can cause many problems. Internal Vs External Trail Leg In this Insight, Tyler answers a member question about the trail leg.